(Oregon Coast) – Fall is shaping up to be crammed with fascinating events centered around the politics, management and science of the Oregon coast. The State of the Coast conference happens at the end of October near Lincoln City, while two other events are coming up that look at a variety of natural aspects of these beaches. The State of the Coast conference takes place at the Salishan resort in Gleneden Beach on October 29. The annual event is a gathering where all manner of people get together – including business and community leaders, fishermen, scientists, resource managers, planners, teachers, students, recreationists and conservationists. Here, they can learn, network, and engage in the current and future state of Oregon’s marine environment. The keynote speaker is Michael Bendixen, Emmy award winning videographer with Oregon Field Guide. He will take the audience “behind the scenes” where he combines the science, the extreme environments, and the art needed to craft educational and inspiring stories for OPB's TV news magazine. Morning plenary session provides quick updates on coastal issues including: 50th Anniversary of the Beach Bill; A Glimpse into Blue Carbon; Ocean Changes and Squid; Marine Renewable Energy; Waves Up Close and Personal; OSU’s New Marine Studies Initiative; Effects of The Blob; and more. There are afternoon break-out sessions, which provide the opportunity to choose a topic to explore more in depth and in a smaller, more hands-on environment. Subjects include coastal and marine ecosystem services, harmful algal blooms, monitoring ocean change from a local to global scale, and “Seafood: From the Boat to the Throat,” among others. Students are invited to submit an application to be included in the Student Poster Session. Deadline for submission is October 7. This session provides an opportunity to interact with students and learn about their current ocean and coastal research at Oregon’s universities. On Thursday, September 22 in Yachats, it's The “Discover the Wonderful World of Lichen” BioBlitz. This citizen science project is open to everyone, from novice to advanced naturalist. No special skills are required. Forest Service botanists Marty Stein and Doug Glavich will be on hand to provide volunteers with training on how to identify local lichens. The bioblitz runs 10:30 a.m. to 4 p.m. at the Cape Perpetua Visitor Center just south of the cape (and about three miles south of Yachats). Be prepared for hiking on and off trails and dress for the weather. Digital cameras are useful but not required. 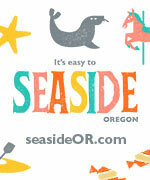 For more information, contact Brian Hoeh, manager at the Visitor Center, (541) 547-3289, bbhoeh@fs.fed.us. The Nestucca, Neskowin & Sand Lake Watersheds Council is holding a science pub on October 24 at the Pelican Pub in Pacific City that is focusing on salmon management. Dan Bottom will be speaking. His talk will draw from his book's 11 peer-reviewed articles and the results of a decades-long habitat restoration effort in the Salmon River estuary.